Please include your accredited order number with your email if issued one so we can reference your order & answer your questions with less delay. At Aloha Apparel Hawaiian Shirts our objective is to help you find and get the best Hawaiian apparel and gifts from a huge selection with lower prices online from Hawaii. About 90% of the products are made locally in Hawaii by us and/or our network of associated apparel makers. Our network will provide you a huge selection of professionally made quality Hawaiian Apparel at a good savings. 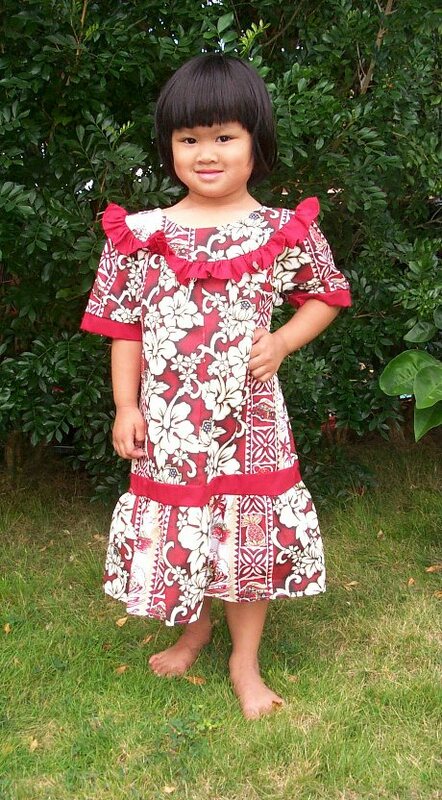 Our network of Hawaiian apparel providers all have many years of experience in the Hawaiian Apprarel industry. This section has answers frequently asked by customers. Please take time to look over this page as it may answer your question. Email us if you have questions not covered. Catalogs are not available as we do 100% of our business on-line. Do you have a walk in store? No. We do not have a walk in store or factory for visiting. All business is conducted through this website. Orders are accepted online 24 hours a day seven days a week by credit card. This arrangement of doing buisness has worked well for us for since 1999 and is key to keeping costs down for our customers. Our website is built around Yahoo store platform. Orders are securely handled using the proven industry standard SSL security for safe online transactions of your card and personal information. Q: I think my card was charged twice, I see two charges when I pull up my on line statement? A: When you place the order on line, you Authorized the money to be taking out from your credit card, it is called the pending charge, Your Bank will hold the money for your order for a number of days depending on your bank. Your bank is making sure the money is there when we later submit the purchase charge when we are ready to ship your order. When we submit the charge later your on line bank statement will show it as a 2nd charge and this cause confusion thinking you were charged twice. However your bank and our bank will settle and clear the transaction in 2 to 3 days, you will then see only ONE charge on your statement. You always can call your bank to verify this information and any questions you have. Will your car seat covers fit my car? We do not have a list of the cars our covers will fit but you can determine the answer easily by clicking here to read our FAQ for car seats. Prices and products in this website are subject to change at any time without notice. #ONE: The best way is On-Line with your computer and credit card or Paypal. This method is recommended as its fast secure and easy. Include your phone number so we can call you for your credit card information and to answer questions for both of us to finalize the order. #THREE: Mail in. Write out your order on your own paper with all the above information asked for in #TWO and mail to us with check or money order. Be sure to include your phone number and email in case we have a question. We reserve the right to refuse to process any order we suspect the credit card used as not authorized by the credit card owner. From time to time we may also request your credit card issuing banks phone number to verify information. This is for the card holders protection. We respect your privacy and will not rent sell or give your email information to any other party. Option One: Do a exchange. You can order your new item from our site at: www.rainbowhawaii.com and in the meantime send back the other item(s) for a refund with a written note that you are doing an exchange and that you have already reordered your replacement on-line from our website. When we received the returned item(s) we will credit back your card for the purchase price less the shipping cost. There is no restocking fee doing an exchange but items must be returned within 30 days from the time you receive the order. Option Two: Request a refund. You can call your bank to confirm we did this if you need to know before your card statement shows the credit. Postage/shipping fee is not refundable. For both options we require that the products be returned postage paid, undamaged, clean & in new condition. Please note it is important that you provide your correct shipping address with your order since we may ship by FedEx. FedEx charges a $10.00 service fee if you give a wrong address and this will be charged to your card. Please double check your shipping address is correct. If you have suggestions to improve the products or service let us know as this will help us get better for you and others. Mahalo. Speed of Delivery and Shipping Charges inside the United States. is the time we need to process your order. Most of our apparel sells out quickly and we are always in the process of replacing inventory. At times some items sell out faster than we can make them and we will not be able to ship some orders until the inventory level comes up to fill waiting orders. Other times a popular fabric print may be temporarily unavailable from the fabric manufacture and can delay a making of a order. If we determine we can not make your deadline we will email you to let you know and ask if you need to cancel. If you do not mention a deadline we will ship as the processing is done and will only email you if the processing will be more than two weeks. is the shipping option you select. is the most popular and economical and usually takes six days from the day it is shipped but day of delivery is not guaranteed as we have no control over the USPS. shipping time is faster costs more and usually takes two to three days from the time it is shipped from Hawaii. A signature will be required by someone at the ship to address in order for your package to be delivered. At times we may upgrade your shipping service to FedEx at no extra charge. Because of this if you have a P.O. Box address please make arrangements and provide us another shipping address as FedEx will not deliver to a P.O. Box. FedEx is a reliable carrier known for their speed and on time delivery. Since Hawaii is almost one day behind the U.S. mainland there is no overnight service from Hawaii to the central and east coast of the USA. FedEx orders will usuall take two days to deliver starting at the time your order is packed and given to FedEx. Because of possible shipping delays that will happen on occasion with the USPS or FedEx and unexpected delays in making your order we do not guarantee day of delivery. However the vast majority of our orders are processed and delivered faster than most customers expected. If you have a deadline when you must have your order please let us know by writing a note on the online order form comment box. Our goal is to get your package to you as fast as possible. On a rare occasion it may take us a few more days passed your deadline. If this is the case please let us know if you still want the order shipped or to cancel? A automatic email sends you the tracking number of your package the day after it enters the Postal Service so you can monitor the progress of the shipment. When you select USPS Priority Mail shipping option with your order and your subtotal is $100.00 or more we will Upgrade it to FedEx 2nd day service. If you select the FedEx or Express mail shipping option for your order we will upgrade to FedEx Standard Priority. You get a faster shipping time plus FedEx easy to track features. You benefit as we pick up the higher cost difference to ship by FedEx. (not applicable to P.O. Box, APO, APE, Alaska, Hawaii and International addresses). International orders will be shipped by United States Postal service air mail. Please be advised that you are responsible for any customs, duty, taxes etc. your country imposes on items mailed to you. Please check with your customs office for information. Please check the information above on this page to answer most of your questions. Our office hours are 8:00AM to 5:00PM Monday to Friday Hawaii standard time. Please note we do not have catalogs, Free samples or a walk in store to buy from. We are on-line sales only. Please mention your accredited order number when you call or email if issued one. If you did not receive a order number then the order was not received by the system. This is most likely caused by not pressing the submit order button in the last step. Please note we do not have catalogs, Free samples or a walk in store to buy from.